Phone Consultations - Can I talk with an Equine Attorney about My Legal Matter? Note: With the exception of issues with national equine organizations, we cannot practice law in states other than California, New York, Oregon or Washington. ​For equine attorneys practicing in other states and Canada, please see our Attorney Directory. What Will My Initial Consultation Include? Prior to your appointment, our equine attorney will review all materials you have provided. During your 30-minute consultation, for legal matters, our attorney will provide you with an initial assessment of whether you have a viable legal case, and if so, what your options are for resolving your matter and how much those options might cost. Time permitting, our attorney will answer any other questions you may have pertaining to your case. When appropriate for your case, we may refer you to an attorney in a different practice area or geographic location. Go to our Contact Us page and click on the link appropriate description box to request a consultation. Why Must I Fill Out a Pre-Screening Form for Some Types of Consultations? What Days and Times Do You Schedule Consultations? An initial 30-minute telephone consultation with equine attorney Rachel McCart is $175.00. Subsequent consultations for the same issue will be billed at our hourly rate. Once you are approved for a consultation we will bill you electronically. The fee must be paid prior to your consultation being scheduled. For your convenience, ELS accepts all major credit cards. 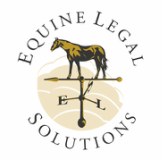 If the subject of your consultation is a customized contract or LLC or Incorporation formation, and you hire Equine Legal Solutions to perform that work for you within 30 days after your consultation, you will receive a credit for the consultation fee toward the price of your custom contract or entity formation. Please note, however, that the consultation fee is non-refundable. What Information Will I Need to Provide Prior to the Consultation? Once your consultation has been scheduled, you should provide ELS with information and documents that are relevant prior to your consultation. A detailed timeline of events to date, copies of contracts, copies of vet reports, diagnostic images and x-rays, pertinent emails and texts are all helpful to the attorney in order to advise you best on how to proceed with your situation. To allow sufficient time for the attorney to review your materials prior to your consultation, please provide them at least one business day in advance of your appointment. ​​Can I Call You and Schedule a Consultation Over the Phone? We prefer that you use our online form to schedule a consultation. Before you provide us with ANY details about your legal matter, we need to ensure that there is no conflict of interest. Please note that our receptionist is not an attorney and therefore cannot give legal advice, and please don't leave any legal details on our voicemail. Can I Fax or Email Contracts or Other Information for My Consultation? Yes. When you call to make your appointment, our receptionist will advise you about what materials, if any, you should provide to ELS prior to your consultation. To allow sufficient time for the attorney to review your materials prior to your consultation, please provide them at least one business day in advance of your appointment. Absolutely! All information that you provide our receptionist and the information that you provide our equine attorney during the consultation will be kept completely confidential.